Creative Controls, Incorporated (CCI) is the nation’s premier manufacturer of automotive mobility equipment. We have achieved a leadership position in the mobility industry through our commitment to excellence and our dedication to empower the differently abled community with innovative and reliable mobility products. Since his establishment of CCI in 1971, founder Thomas Stowers maintains a commitment to excellence through identifying and retaining individuals who are the very best in their fields. Our team of mobility professionals averages more than twenty years of experience in the industry and shares the same passion to provide mobility to every driver that first motivated Mr. Stowers to establish his company more than thirty-five years ago. Our dedication to empower the differently abled community is apparent in our expansive line of mobility products. From hand controls, to occupant and wheel chair securement systems, to scooter and wheel chair lifts, to custom outfitted Sprinter vans, our mobility equipment demonstrates quality with its innovative designs and reliability with its industry-leading warranty programs. Our products are available through our global network of experienced and certified mobility dealers. 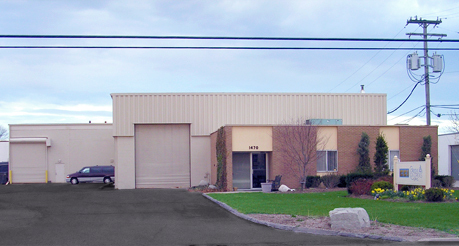 Located in Madison Heights, Michigan, CCI is the enabling company. As well as being the nation’s premier manufacturer of mobility products, CCI is Michigan’s preferred mobility company for installation and service of all adaptive automotive products. CCI has a reputation for its unprecedented ability to fully integrate customers’ individual needs into the modification of their vehicles. Creative Controls, Inc. (CCI) was founded over 30 years ago by Thomas Stowers, President and Chief Executive Officer (CEO). Mr. Stowers set out to make life more enjoyable for those who are faced with the challenge of mobility due to a disability. As the CEO, Tom assumes full management responsibility for the company, including delivery on the company's vision of "empowering people through great innovations - any time, any place and on any device". When looking back, the record shows that Stowers has been very successful in this endeavor. CCI has also grown to be one of the most highly recognized and respected companies in the mobility industry. Tom Stowers is known inside and outside the company for his devotion to building closer relationships with CCI's customers and partners - and for ensuring that their needs are heard, understood and served by every CCI employee. The foundation for this relationship - and the success of the company - is the reliable and powerful CCI products, which are designed to support a demanding enterprise and e-commerce needs. If you or someone close to you has a special mobility need, it would be our pleasure to help with any mobility issue you are facing. CCI remains committed to the advancement of mobility products which meet the changing needs of our customers and compliment the design of the evolving automotive industry. In 2005, we introduced the revolutionary Armstrong scooter and wheelchair lift after identifying our customers’ desire to utilize third-row seating while stowing their mobility devices in SUV’s, vans, and crossover vehicles. In 2007, CCI introduced C-Dock, a modern approach to the traditional occupied wheelchair securement system which combines the reassurance of a successfully crash-tested product along with a seamless original-equipment-manufacturer look and feel at an economical price. With a team of cutting-edge engineers, CCI will continue to set the standards for adaptive vehicle equipment in the future. With over 900 certified mobility dealers, CCI products are available to consumers worldwide. Through comprehensive training programs, our network of mobility dealers gains a thorough understanding of the installation and service of our products, as well as the unique benefits each product offers to its users. This level of open communication between CCI and its dealers allows for a quality of service that will exceed your highest expectations when you invest in a CCI product. On a national level, CCI is a proud member of ADED, the Association for Driver Rehabilitation Specialists. ADED is a nonprofit organization devoted primarily to the support of professionals working in the field of driver education and transportation equipment modification for persons with disabilities. In the state of Michigan, CCI maintains affiliation with highly regarded organizations such as: The Detroit Medical Center, Michigan Rehabilitation Services, the University of Michigan Health System, William Beaumont Hospitals, Wright and Filippis, and the Veteran’s Administration. Through these relations, our experienced staff of mobility professionals works with occupational therapists to determine the exact modifications each customer requires. As the enabling company, CCI remains dedicated to empowering the physically challenged with the freedom to drive. At Creative Controls, Incorporated (CCI), our mission is to provide the differently abled community with the freedom and opportunity to drive with our specialized automotive mobility equipment and vehicles. We aim to develop products which ensure users high quality and satisfaction, along with industry-leading technology. CCI maintains an ongoing commitment to engineer our equipment with the highest safety standards at the most economical prices. To achieve these goals, the CCI team consistently takes proactive measures to ensure we remain loyal to our mission. Through extensive research and development, we will continue to produce products that satisfy our customers’ needs and exceed industry standards. Additionally, we will continue to identify and retain individuals who are the very best in the mobility industry to join the CCI team. Talented, productive, and dedicated are qualities that will always define our staff. CCI’s staff of mobility professionals is guided by a dedication to integrity. We believe that maintaining high ethical standards complimented with strong communication is essential when conducting a successful corporation. As a socially responsible corporation, we will remain committed to support the cause of organizations which benefit the differently abled community.